As the longest established aviation company in the Kimberley, and boasting an enviable record for safety excellence, Broome Aviation is your ideal travelling partner in this spectacular region. With Broome’s largest aircraft fleet, they can offer more scenic tour options for you to marvel at the Kimberley’s many natural wonders. Their pilots possess a great deal of knowledge of the region’s many attractions and they will share insights into the landscapes and waterways that will unfold below. Broome Aviation offer a choice of flights that may take you over the splendour of uninhabited islands of the Buccaneer Archipelago or the great expanse of the Prince Regent River or to numerous magnificent gorges. Fly over the Bungle Bungle Ranges or land and tour by four wheel drive. Visit Mt Hart station and over a cup of tea be regaled by stories of the outback. The options are limitless. Broome Aviation also make the promise, if the extensive range of tours do not meet your requirements, within the range of the aircraft, they will tailor a tour to suit your personal needs. The adventure of a lifetime that would take days by road, takes just one day by air! Discover the coastal wonders of Cape Leveque, the Buccaneer Archipelago, the Horizontal Falls all the way up to the Prince Regent River. Begin your day with an early morning flight across the Dampier Peninsula to Cape Leveque. A stopover at Cape Leveque allows you to experience the unique beauty of the area as you enjoy morning tea. Taking off again you will traverse the Buccaneer Archipelago, the Horizontal Falls, Kuri Bay Pearl Farm and the Montgomery Island whale breeding area. Whales are most likely to be observed between May and November, a spectacular sight! Departing Broome, soar above the expansive cattle plains en route to the Napier Range. Explore Windjana Gorge on foot and view the Johnstone River Crocodile in its native habitat. Join your Bunuba guide on a two hour tour through Tunnel Creek, a water worn tunnel beneath the ancient Devonian Reef System of the Napier Range. 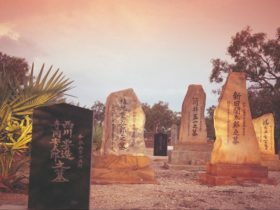 Explore the creek system, learn about its natural history and relive the life of Jandamarra, a moving and tragic story of a man between two cultures. Take part in a traditional aboriginal smoking ceremony and feel Tunnel Creek’s spiritual significance. Your flight wings its way northward where you will enjoy a scrumptious lunch at the historic Mt Hart Station. On departing Mt Hart, from the air, experience the rapid tidal movements unique to this region at the Horizontal Waterfalls. Witness mining and history as you fly out over Koolan and Cockatoo Island, whilst marvelling at the ‘thousand islands’ that make up the Buccaneer Archipelago. Unwind at Cape Leveque for afternoon tea and a refreshing swim before returning Broome via the Dampier Peninsular. An extension of the Prince Regent River scenic flight, this tour also reveals the Mitchell Plateau featuring the Mitchell Falls and spectacular King Cascade. Also on show are the coastal wonders of Cape Leveque, the Buccaneer Archipelago, the Horizontal Falls and more! Your early morning flight takes you over the Dampier Peninsula to the beautiful Cape Leveque for morning tea and a morning swim, or wander of the area. Take off from the Cape to discover the majestic Buccaneer Archipelago from the air, including the Horizontal Falls, Koolan and Cockatoo Island. 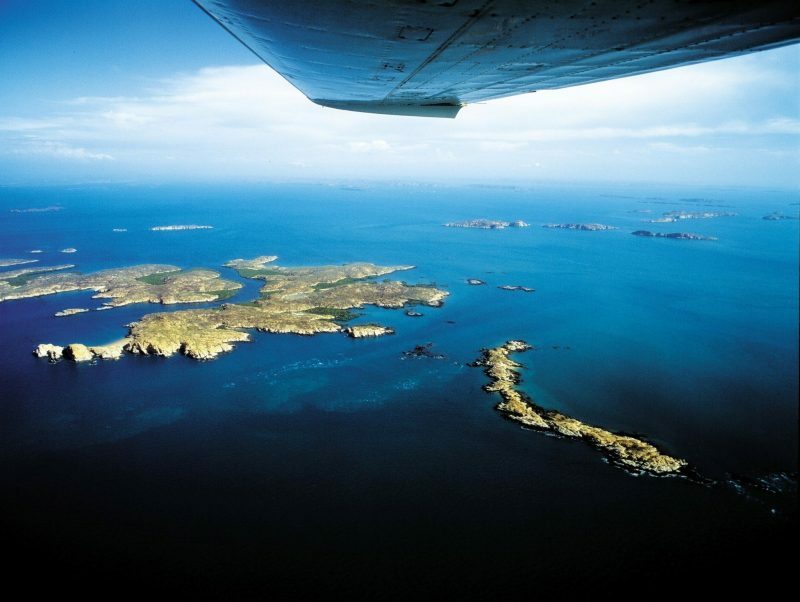 During this leg of the trip the aircraft passes over Montgomery Island and the whale breeding area. The northward journey continues to the Prince Regent River and the King Cascade, an impressive sight from the air. You will soon come across the Mitchell Falls, a spectacular series of four waterfalls that run at varied intensity all year round. On the way to Mt Hart Station for a gourmet lunch, you will see some of the most remote Kimberley wilderness. Stretch the legs and refresh as you discover the history Mt Hart Station. Your homeward bound journey will sweep across the famous Fitzroy River and the township of Derby. Arriving at Broome Aviation’s air-conditioned departure lounge located at the Broome International Airport, your specialised pilot will guide you through the comprehensive safety video whilst you can enjoy hot coffee and tea before boarding the aircraft for your scenic flight around Broome and the surrounding area. After take-off they will turn the aircraft left onto the coast of Cable Beach and around the red cliffs of Gantheaume Point where the bright red pindan rocks meet the deep blue waters of Broome. View the famous Broome Race course and see the little known Riddell’s Beach where the locals come down to swim and play. The Pilot will discuss the history and stories of Broome and the little unknown facts. You will then fly around the port of Broome over the long 331 metre wharf which docks many famous cruise ships and freight vessels, then travel overhead Chinatown and up to Willie Creek; the aircraft banks so you can get the best possible sights over this real working Pearl Farm. 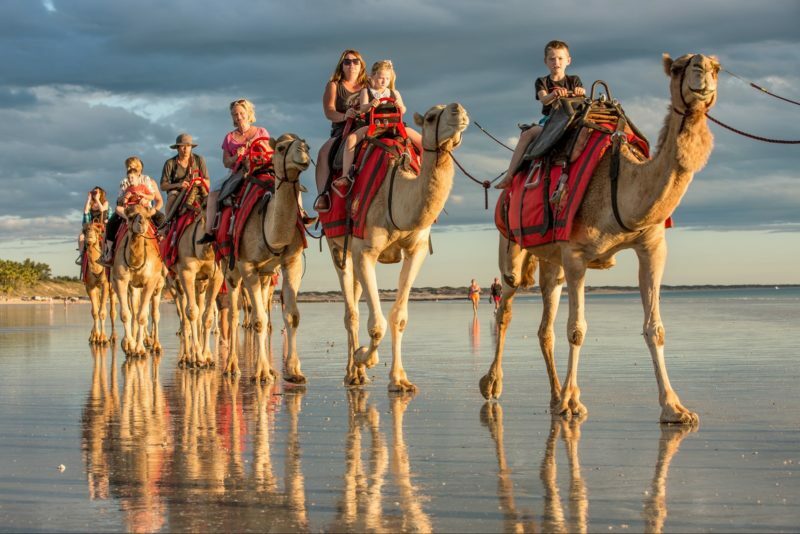 From Willie Creek, you start your flight back to Broome flying low and taking all that the magnificent 20 kilometre stretch of Cable Beach has to offer. Flight lasts around 30 minutes. Discover the Kimberley, by boat and by air. This scenic tour will take you to the ancient Kimberley wonders of Geikie Gorge and the Bungle Bungles, with plenty to see in-between. Your morning flight from Broome soars across historic Kimberley cattle country into Fitzroy Crossing, a staging post for early settlers to cross mighty Fitzroy River. A town tour will tell you about these days of old, and recent developments that support the town. Cruise through Geikie Gorge and the world of Aboriginal Dreamtime, with an experienced guide that will highlight the area’s cultural significance, and the amazing flora and fauna, including the freshwater crocodile. Back on board the aircraft, fly to Halls Creek for a quick aircraft refuel. Now you can sit back and relax as you traverse Purnululu National Park for a scenic flight over the unique ‘bee hives’ of the Bungle Bungles. Beyond the Bungles you will cross the Durack Ranges before winging gracefully to Mt Hart Station for a delicious gourmet lunch. In the air once more the final leg takes you over Derby, and the ever-changing colours of the tidal flats where the Fitzroy River meets the King Sound, before heading back to Broome. So famous is Australia’s Bungle Bungle range, they hardly need an introduction, but suffice to say there is no better way to see them than with this excellent tour package from Broome Aviation. Leaving Broome your flight wings east to the historical town of Halls Creek, where they refuel the aircraft and stretch your legs. Without further ado, you will re-board and head directly for the World Heritage listed Purnululu National Park, containing the Bungle Bungle Ranges, one of the world’s most awe-inspiring natural wonders. As you sweep over the breathtaking beehive-like structures a hidden world of gorges and pools is revealed. On landing, you will be greeted by an experienced guide who will take you for a ground tour. A three kilometre round walk showcases Cathedral Gorge and Piccaninny Creek, which are bursting with colourful and exotic varieties of flora. You will get to relax and take it all in whilst enjoying a picnic lunch at Cathedral Gorge. At the end of a completely amazing day, sit back, relax and share tales of your adventure while you wing your way gracefully back to Broome. The Gorgeous Gorges tour is unique to Broome Aviation. Fly with them for the experience of a lifetime that reveals the best of what the West Kimberley has to offer, in one day! You will encounter gorges, waterfalls, remote islands, historic cattle station and oodles of sights and sounds throughout this spectacular wilderness. After departing Broome, your first destination is Windjana Gorge. A guided tour of the gorge will reveal the wonderful culture and history. You will then traverse the King Leopold Ranges to the remote Silent Grove Airstrip. After a short drive and walk you will be able to relax by Bell Gorge Waterfall. Another short flight and you will arrive at Mt Hart Station, where a gourmet lunch is served and you are free to explore the historic property. Refreshed and re-energised you set course for the remarkable Horizontal Falls. It is here where thousands of remote islands that make up the Buccaneer Archipelago materialise amidst the turquoise water. 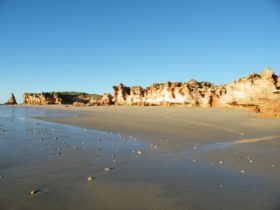 Taking one last stop at Cape Leveque you will have afternoon tea and time to explore the unique area. Then back to Broome overflying Lombadina and Beagle Bay Aboriginal Communities and Willie Creek. 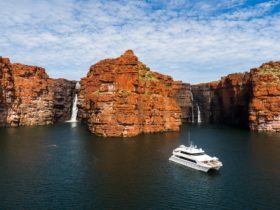 Explore the historic and spectacular inland wonders of Geikie Gorge, Fitzroy Crossing and Mt Hart Station, before heading out on an aerial adventure to the Kimberley coast, highlighting the breathtaking beauty of the Buccaneer Archipelago, the Horizontal Waterfalls, Cape Leveque and much, much more. From Broome, you’ll enjoy the rare opportunity to traverse the vast expanse of the West Kimberley before landing at Fitzroy Crossing. By boat, you’ll then travel into the world of the Aboriginal Dreamtime, where experienced guides explain the area’s cultural significance while pointing out flora and fauna, including freshwater crocodiles! The gorge here is truly an inspiration. It’s then back on board for a flight to the famed Mount Hart Station. Here you’ll enjoy a delicious lunch before taking to the air once again for an awe inspiring flight over the Buccaneer Archipelago and its many wonders. 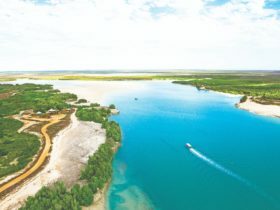 From Broome you will make your way over the Dampier Peninsula and King Sound to view one of the most spectacular river systems in the world, The Fitzroy River. You’ll then wing your way towards the Buccaneer Archipelago where you’ll witness the tidal wonders of the Horizontal Falls. As you weave your way through seemingly endless islands including Cockatoo and Koolan, your pilot will set course for Cape Leveque. Here you will enjoy a bite to eat, plus a dip in the alluring water, or a scour of the area if you please. Your return flight passes Beagle Bay and Lombadina Aboriginal Communities, Willie Creek and many more sights in between before returning to Broome.